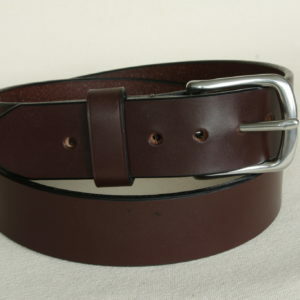 Handmade leather belts, wallets and other bespoke items. Made in England. Handmade leather goods. Custom designed and made to last. Hand cut, hand stitched, hand finished, handmade in Dorset. Coast Leather is all about crafting handmade products which last well beyond the lifetime of off-the-shell alternatives. I use traditional techniques and materials to create bespoke items which mix clean lines with lasting style. 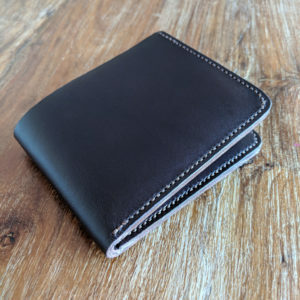 There are no machines used in the production of my leather goods; the leather is hand cut, hand stitched and hand finished using a small selection of tools. I love working with leather. Every piece of leather feels different, cuts differently, stitches differently and patinas differently. These variations help make every finished item be totally unique. As mass production takes its toll on our planet, I feel a responsibility to ensure that the products I create have as small an impact as possible. 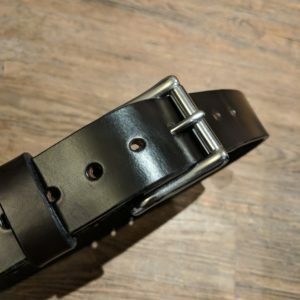 The leather I use is sourced from UK and Italian tanneries, who use centuries old methods and natural ingredients like tree bark and vegetable matter in their tanning process. Buckles and metalwork is all supplied by a foundry in the UK. 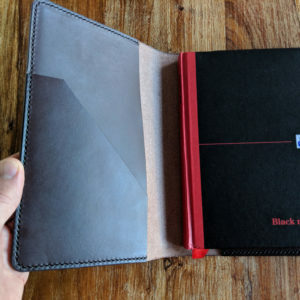 When you buy a Coast Leather product, you’re buying a handcrafted product that’s been made with care and attention to detail to not only the product itself, but to the traditional techniques and processes of a multitude of crafts-people through history.